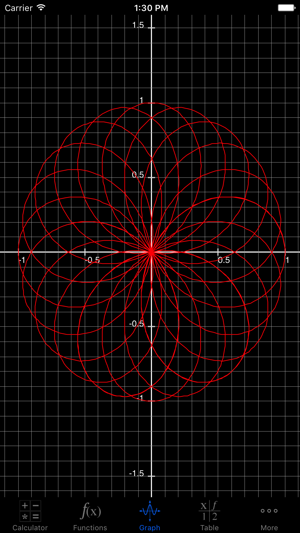 If you have any comments, problems or suggestions, you are most welcome to contact me at support@math-inside.com. Support for Slide over and Split View Multitasking on iPad models that support these features. 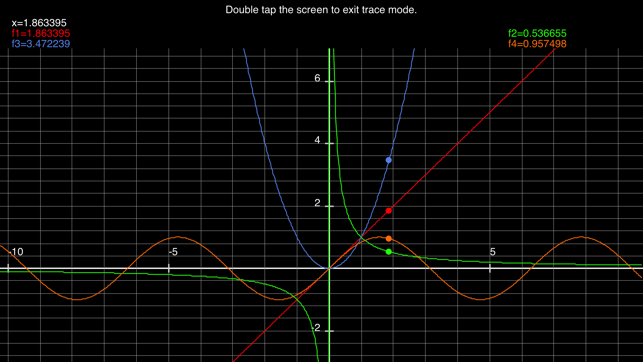 My Graphing Calculator can now be run in the same screen with another app on iPad devices supporting Split View. 64 bit support, this will improve performance on 64 bit devices if all apps have 64 bit support. Bug fixes for some bugs that appeared when version 2.0.1 was run on devices with iOS 10. On iOS11 app has no method for entering a variable. 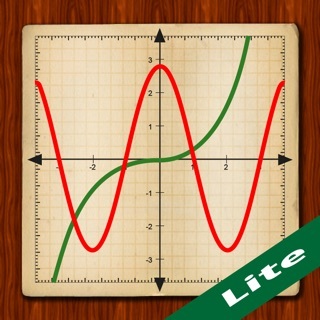 For example, I test such apps by graphing trig functions. After selecting sin( there is no way to enter a “x”. Tried everything. Needs work. Definitely user error...my bad. Please accept my apologies. An area which needs to be addressed are asymptotes. The app currently graphs an asymptote, while the table lists a value which is undefined...see tan() function. 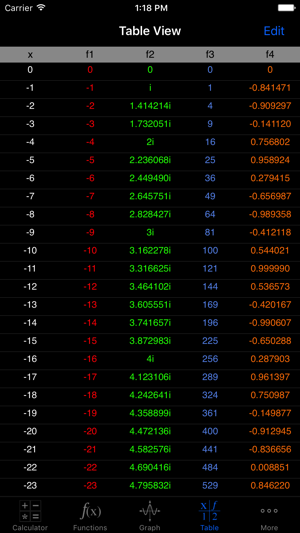 The table aspect of the app is a delight to use. I would keep the app for this feature alone. In a field heavily populated this app deserves consideration. We are sorry for this inconvenience you are facing with “My Graphing Calculator” application. We have checked variable entry in iOS 11.2.6 and we could not replicate the issue. 2- Select any function (f1-f4). 3- A screen for function editing appears with a keypad. 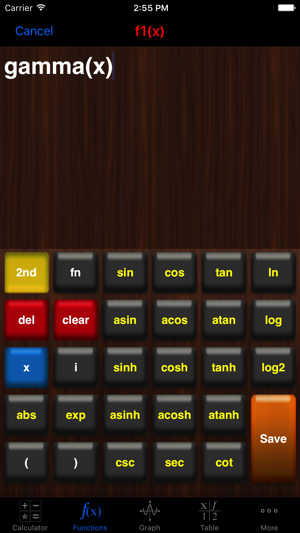 4- The blue button in the keypad is the button for the variable (x or θ if Graph mode is set to Polar in settings). 5- When this blue button is tapped, x (or θ) is typed. 6- Write the expression for the function then tap Save button. 7- The function is saved and can be viewed in Graph tab and Table tab. 1- Device Name (for example iPhone 7). 2- iOS version (for example 11.1.2). 3- Screen shot for Settings (by tapping “More” tab, then tap Settings). 4- Any other screen shots that can illustrate the issue. As soon as we get this information from you, we will continue investigating the issue, do any necessary fixes and update the application. 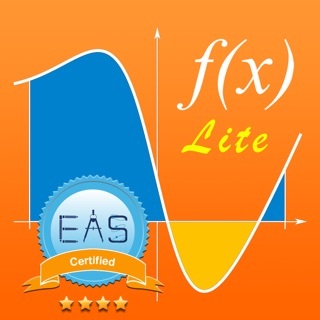 We really hope that you will continue supporting Math Inside by giving us feedback and choosing our apps. If you have any other feedback, please let us know. Thank you very much for your kind updated review! 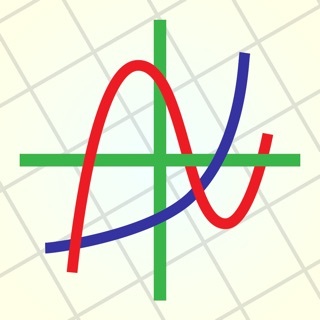 Many thanks also for your valuable feedback about asymptotes, we will investigate how to properly handle such cases. 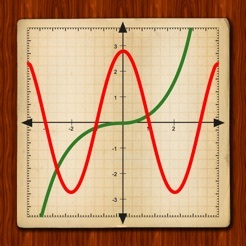 This is a nice simple graphing app that does what it says. The developer does not promise the following functionality, but it would be great if the app had the option of listing the EXACT coordinates of all x any y intercepts and intersection points of multiple graphs. You can tease out this information by very carefully moving your finger as the app displays the coordinates, but this is a tedious activity and it is hard to nail the exact coordinates of the intersection points. 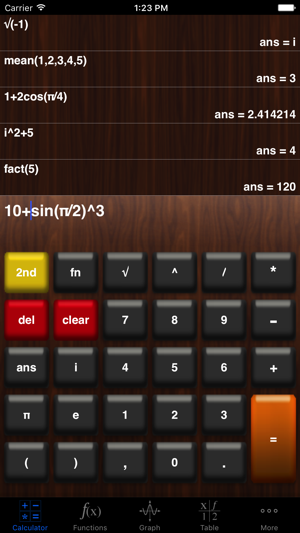 With this functionality, the app could be much more easily used to solve equations...simultaneous and individual. Priceless!